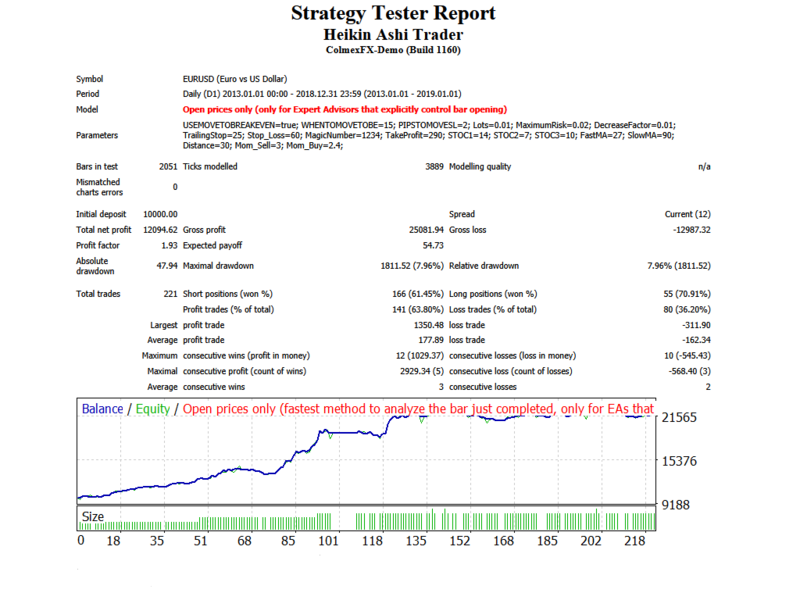 "Heikin Ashi Trader" EA trades with a strategy based on Heikin Ashi indicator and has Trailing Stop Loss &Take Profit works best on 1D time frames major forex pairs and stocks NASDAQ. I notice when testing your EA that each time the trailing stop updates the take profit price gets moved in the direction of the trade by the amount the trailing stop is set to. If the stop gets modified several times while the trade is open the take profit gets further and further out of reach. Take profit should not move. You are wrong,in my EAs the tp and sl are moving,this is not an error,it is deliberately on purpose, so you will be able to take more profit.